Castlemaine is known as the Home of the Hot Rod. We believe we also own the title of Billy Cart Capital of Australia. Possibly the world. Any towns out there want to challenge us on that one? Bring it on. Billy cart races are not new to this town. Founded in 1949 as the Apex Soap Box Derby these races were organised to raise funds for the local Castlemaine Kindergarten. In the 90’s the race was on again with fresh legs and a love for all things billy cart. These events were held and loved by the community until the last race in 2003. Let’s blame reality TV for this. People still share the stories of these races like they happened yesterday. We pay homage and full respect to those who have done the hard yards in the past. Those who have come before us have set the scene for a town that loves and embraces billy cart racing. In 2017, on October 14 we saw the revival of this classic event as the Castlemaine Billy Cart Challenge. This time as a fundraising opportunity for a local suicide awareness and prevention group known as ELM-Every Life Matters. 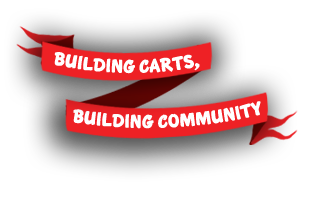 Our mission is to create partnerships that get people working together as a team to build a billy cart. We aim to make these connections in the community – from within families, schools, community groups, organisations and local businesses. Everyone loves a billy cart, regardless of their age or background and the process of making billy carts is a creative and co-operative effort. An example we see involves younger participants teamed up with more senior members in the community in a mentoring relationship. Working together on a project helps build engagement, confidence and resilience for both parties. It is intended through this initiative that these relationships and community connections will be fostered and supported to grow each year with a coming together to participate in the annual Castlemaine Billy Cart Challenge. 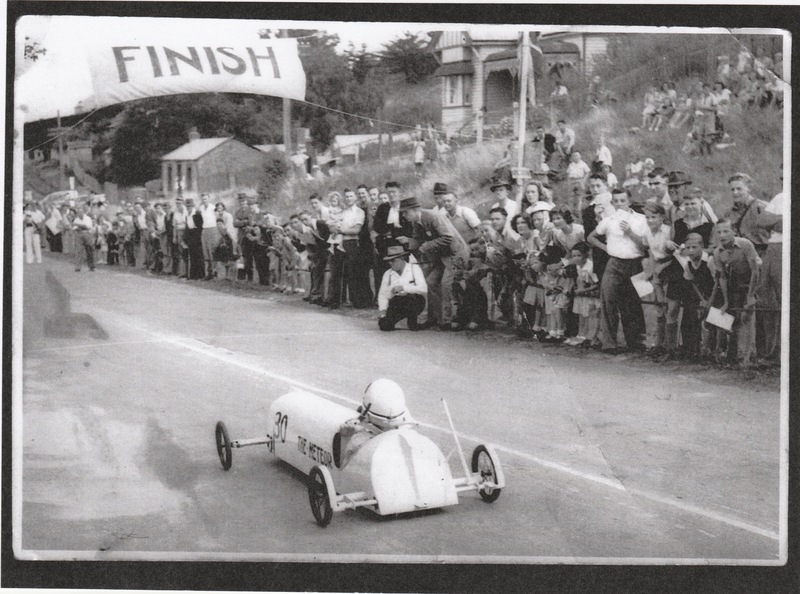 Billy cart racing has a long history in Castlemaine and has always had a strong fundraising component at its heart. The first race in 1949 was organised by Apex and was known as the Apex Soap Box Derby. This inaugural event was held in order to raise funds for the local Castlemaine kindergarten. Through the 90’s and early 2000’s proceeds from the event went to the Castlemaine Swimming Club and other local service groups. In 2017 the Castlemaine Billy Cart Challenge ran as part of the events for Mental Health Week. This community event was a fundraising opportunity for ELM (Every Life Matters). In 2018 the second Castlemaine Billy Cart Challenge once again ran as a Mental Health week event, this time raising funds for Nalderun. Nalderun is a service that supports the Aboriginal Community, lead by Aboriginal people. 9 News Central Vic – After a 14 year hiatus, the famed Castlemaine Billy Cart Challenge is back.